David is a retired officer in the US military having flown an extensive array of aircraft and missions for the US Air Force, the US Marine Corps and the US Customs Service. Currently, David flies large commercial passenger jets for a major airline and balances that with a passion for flying hang gliders and paragliders, having flown just about everything in between. 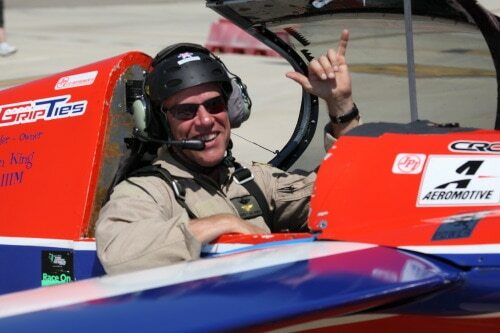 In contrast to his lengthy professional aviation career, David was a rookie to formula one air racing in 2014 and in his first season of Air Race 1.